Let the Sunshine In, by acclaimed French director Claire Denis, and opening Friday (an original opening date of May 18th has been changed to May 25th) at the Main Art in Royal Oak, is about the intricacies of love. Now before you think I’m getting all highfalutin let me say that by intricacies I mean the truths, lies, contradictions and mixed messages people in romantic relationships, often of the superficial and temporary kind, give one another. So, we have Isabelle, a ravishing Juliette Binoche (who at 54 has not looked more stunning), an artist, who, as the cliché would have it, can’t find love. All well and good. But let’s admit it. When you’re looking for love there can be a lot of false hopes, delusions, wrong turns, small victories and utter losses. Such is the case with our heroine. The film opens with Isabelle and a lover, Vincent (Xavier Beauvois), an almost Harvey Weinstein lookalike, with a personality to match, in bed. He’s married and tells her “you’re charming but my wife is extraordinary.” There’s the actor (Nicolas Duvauchell) who at one moment comes on to her and the next retreats. “Long live (his) family,” he says as he walks away, then turns around and asks for a date. Isabelle’s ex-husband, François (Laurent Grévill) keeps coming back for supposedly nostalgic passion then turns bitter when she says she wants the rendezvous to end. In a bar she meets a Mick Jagger-looking fellow, Sylvain (Paul Blain), who’s denigrated by a friend Fabrice (Bruno Podalydès), an art gallery owner and class-conscious snob. One would think Isabelle would reject such high-handedness, but she’s too influenced by him. And when she repeats some of Fabrice’s comments to Sylvain, he rightly tells her she could have told Fabrice to “stop badmouthing the man I love.” The point is, it’s perfectly reasonable to expect a confused personality, one without the greatest sense of self, to accept people’s opinions willy-nilly. It’s this type of personality trait, and some of the confused behaviors in the interactions of the various men Isabelle meets, which makes the film all too authentic, and something we rarely see on screen. Lots of films give us one two and if we’re lucky three dimensions. Let the Sunshine In gives us multiple. 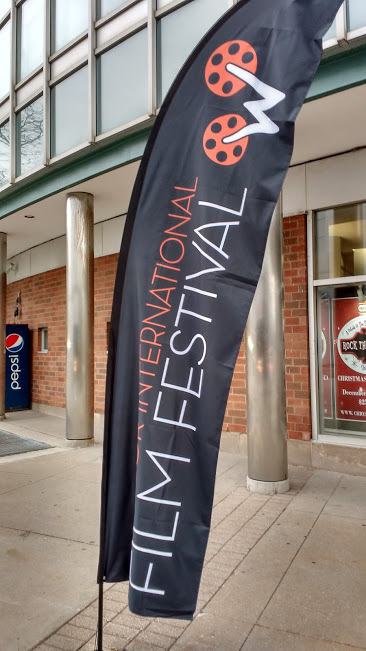 The Windsor International Film Festival – ranked the number two festival of more than 150 such events on the Toronto Intl Film Festival outreach Circuit – has had its WIFF365 monthly schedule up and running since January. Every second Thursday there are two films screened at the Capitol Theatre. On May 10 look for Final Portrait (Stanley Tucci, 2017) starring Jeffrey Rush, about the Swiss artist Alberto Giacometti, at 3.30 pm and 7.55 pm, and the Israeli film Foxtrot (Samuel Maoz, 2017) at 5.45 pm ……You may remember that WIFF screened monthly films a few years ago only to have the series abruptly end. What happened? WIFF director Vincent Georgie told me it was because film distribution literally overnight went from analogue to digital and, well, WIFF was without a digital projector. That’s now been remedied to some extent, with a digital projector gift from the University of Windsor. But a larger $170,000 digital projector will be arriving soon. It’s being paid for from a $250,000 grant from the City of Windsor given to the popular fest, an act which many said had been overdue from a council that pays little heed to the arts ……Georgie told me the fest will also be adding at least three more “pop-up” screenings, after a successful pop-up timed for this year’s Oscars. The next one still be later this month, then in late June and one during PRIDE week. The June 30 event will feature Canadians-themed films (Canada Day occurs July 1) and the PRIDE event will feature LGBTQ films. These pop-ups will be all day events, getting underway in the morning, just like during the regular annual festival! …. Meanwhile, WIFF will be adding a third venue to its screening sites this fall when the 14th edition of the fest gets underway Oct. 29. This will be the renovated armouries building, now home to the University of Windsor’s creative arts school. 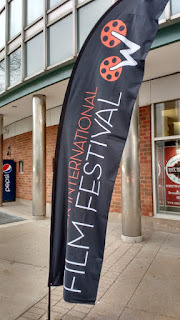 For those with long memories, the armouries was one of the early venues for WIFF screenings. But at that time it was an ad hoc inflated screen that was installed on the concrete floor of what was then a former drill hall. Georgie says the new state of the art theatre within the art school will be just perfect for WIFF screenings. Meanwhile, the Windsor Jewish Film Festival, which just wrapped up its 16th run last week, will be expanding by adding an educational role. Jewish Community Centre director Jay Katz says the festival has received a grant and more info will be released by the fall. “Stay tuned!” ….. The festival for the first time utilized two theatres for the opening night film, An Act of Defiance (Jean van de Velde, 2017). Katz says that’s a function of the fact the Devonshire Cineplex theatres lost capacity after replacing their traditional seats with larger recliners. Nevertheless, festival attendance continues to increase and more people from throughout Windsor, and not just in the Jewish community, are attending. The three screenings I attended, including during the day, were almost filled to capacity, something I hadn’t seen before.